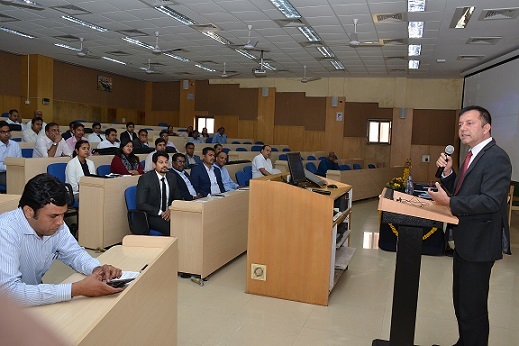 The inauguration of the Fifth Batch of General Management Programme for Executives at IIM Indore took place on Sunday, March 24, 2019. A total of 33 participants had registered for this programme. The chief guest for the inauguration programme was Mr. Mahesh Sharma, CEO, Flexituff International Limited. 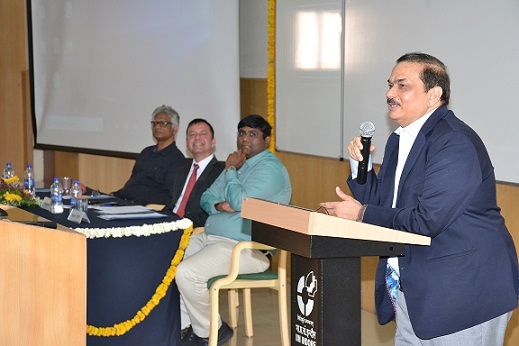 The event began with the lamp lighting by Mr. Sharma, Professor Himanshu Rai, Director, IIM Indore; Professor Bhavin J Shah, Programme Coordinator and Officiating Chairperson Professor SK Ghosh. Professor Rai began his address congratulating the participants for ‘taking this bold decision’ of pursing the studies after a gap of certain years. ‘People tend to put certain things in a certain brackets of age. Every time you think of doing something new, something different, people will tell you why it shouldn’t be done and why you shouldn’t be the person doing that particular thing. My advice is, listen to these people. But listen to your heart and then only you will be able to make the right decision’, he said. He then discussed about the three Ps of life. ‘The first P is Purpose—Sense of purpose, the fact that you’re here should be derived from some bigger purpose for the life. The second P is Passion—You should be passionate about learning, and not merely getting degree, for the only way you can guarantee happiness for yourself for lifetime, is doing what you love. The third P is Perseverance—Come what may, there are no shortcuts. You always need to work hard and the door of opportunity opens only for those who work hard’, he concluded. 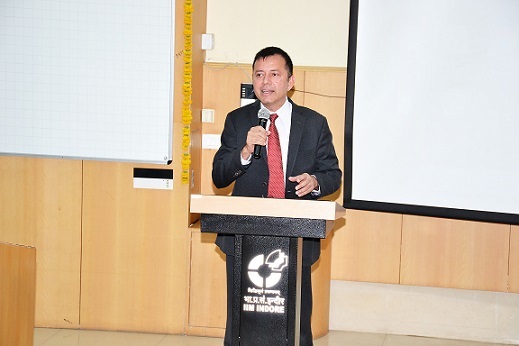 This was followed by the address by Mr. Sharma, who complimented the participants for taking up this programme. 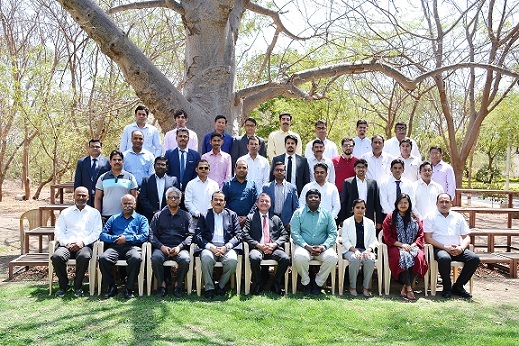 ‘You might all be having your own definite reasons for joining this programme—but make sure that you focus on the reason and stay consistent on learning not only from the programme curriculum, but also from the other participants here—for they’re all from varied sectors with varied experiences’, he said. Quoting examples from the life of leaders like Bill Gates, MF Hussain, etc. Mr. Sharma noted that all of these leaders followed one principle—Do what you love, Love what you do. ‘You need to determine your passion—and need to find out what you love to do. This is the question you need to find out before taking any decision in your life’, he said. The second question would be, whether one is really passionate about doing what they’re liking? Questioning the audience as to what they like to do in their leisure time, Mr. Sharma noted that thinking about this, would help them understand what they’re passionate about. He raised the third question—‘What job would you like to do if you’re free to do any job in the world?’ He asked the participants that which is the job they would like to switch with someone without caring about the designation or the salary structure—that would help in finding the passion. ‘These three questions would help in defining your journey you wish to achieve. The session concluded with a vote of thanks and a group photograph of the participants with the chief guest and IIM Indore staff.